The Queen, accompanied by The Duke of Edinburgh, The Earl of Wessex, and The Princess Royal, attended a Garden Party at the Palace of Holyroodhouse. For more: Video here, photos here and here. 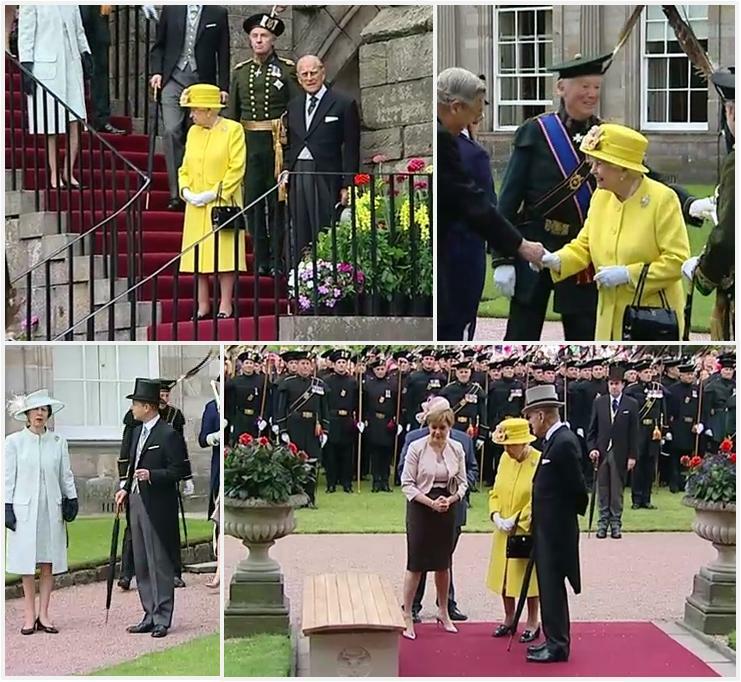 The Queen also held an audience and an investiture today at the Palace of Holyroodhouse. I have not even a guess to wager here.